Scotland's maritime heritage is a highly significant one, embracing as it does a quite outstanding contribution to Britain's development both as an empire and as the world's leading maritime power in the nineteenth century. Scottish engineering, ship-owning and operating, as well as business and entrepreneurial skills, played a major part in the success of the Merchant Navy, while Scottish emigrants took skills to every corner of the world, creating trade and wealth both abroad and at home. In terms of engineering, 'Clyde-built' was the Kite Mark for the shipbuilding industry the world over. Scottish shipowners included household names such as Allan, Anchor, Donaldson and Henderson, while Scotsmen were instrumental in founding and, for much of the time, managing Cunard, British India, P & O, Orient, Glen and many other 'English' companies. 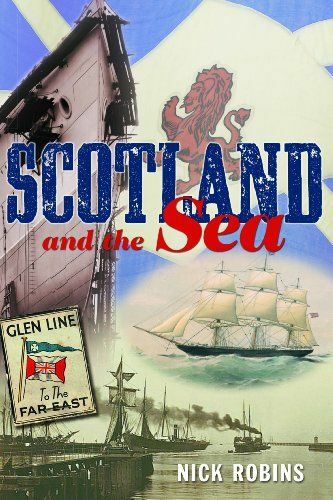 The author tells an exhilarating story of energy and inventiveness, describing the remarkable navigational skills of the highlanders and their technological skill.